Show after show, I keep seeing the same faces at Stage Center Theatre productions: white, predominately male-leading actors and directors. While their performances are good, Stage Center does not showcase NEIU’s diverse community enough. Stage Center’s production of Josefina Lopez’s “Real Women Have Curves” in the fall of 2016 was the only play I noticed showcasing both a female director and a complete cast of empowering Latinx women. Managing Artistic Director of Stage Center, Sarah J. Fabian, said RWHC “was a booming success.” However that was two seasons ago. Of course there was Suzan-Lori Parks’ “In the Blood” and Nilaja Sun’s “No Child…” last year that both starred a strong woman of color, but these inclusive plays are recent and rare. Caryl Churchill’s “Cloud 9” and Deborah Zoe Laufer’s “End Days” were other Stage Center productions in 2016-17 consisting of one person of color in the cast. 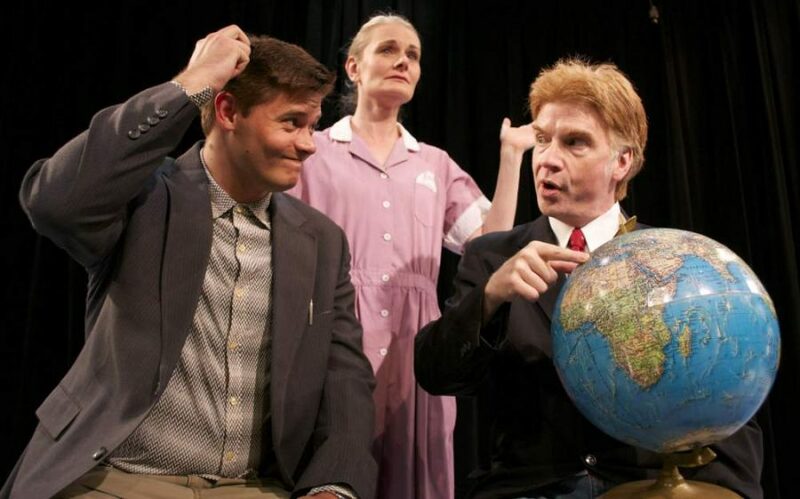 Taking a look at the Stage Center 2014 archives, Marc Camoletti’s “Boeing-Boeing” and Patrick Barlow’s adaptation of “The 39 Steps” were the summer plays performed and both casts were white. Stage Center showcased Arthur Miller’s “All My Sons” in the spring of 2014 and only two out of the 10 actors were people of color. This pattern of white cast members outnumbering people of color repeats down the list in the Stage Center archives, with a few plays incorporating people of color lightly disrupting it. I wonder why? Is it because of the play selections or is it because not many NEIU students of color audition? Wirth said part of the reason why Stage Center does not have a variety of people “banging on the doors” to be a part of plays is because NEIU does not have a Theatre major and available students fluctuate. When I auditioned for RWHC, there was a roomful of women of color. Why is that? Speaking only for myself, it was because I saw I finally had a fair opportunity to be casted. I don’t need you to be “color-blind.” I need you to be inclusive. Fabian said since most of the directors are primarily from the CMT department, she wants “to find out first what they’re interested in doing.” That means the directors hold a lot of power in deciding which plays are performed. Wirth said it was so difficult to get actors to do these inclusive plays so many other directors avoided picking them. He said the presence of The Nest brings hope for more people to participate in Stage Center productions since they’re living on campus. “It’s difficult for people at a predominantly commuter school to get them to stay around for rehearsals in the evenings, and that’s regardless of what plays you’re doing,” Wirth said. Wirth said he’s hoping the upcoming Stage Center’s production of Jose Rivera’s “Marisol” will entice more diverse students to audition. Yet how are these plays selected in the first place? An email is sent out to the CMT department announcing the acceptance of proposals for the next Stage Center season, but not to the entire NEIU community. The Stage Center proposals are Google Forms that anyone in the NEIU community can fill out to pitch the play they want to see performed on stage. The deadline was Jan. 1 of this year. Anyone outside of the CMT department wouldn’t have been aware of this opportunity. That’s a shame. How are we supposed to highlight inclusive plays if everyone is not informed about the selection process? Fabian said they’re going to open the acceptance of proposals campus-wide in the 2019-2020 season, and are trying to figure out the logistics of that. “We know as Stage Center, we need to do a better job at getting our publicity materials out sooner so people know what’s happening in this room, in this space,” Fabian said. She said Stage Center is working on finding pathways to make the student body aware that it exists “tucked away” in Building F near Lech Walesa Hall. Fabian is working with the Director of the Angelina Pedroso Center for Diversity and Intercultural Affairs Maria Genao-Homs to have some rehearsals for the upcoming play “Marisol” in that space to expose students to Stage Center. While I think these ideas for outreach are great, the need for an inclusive theme is extremely important. Fabian said Stage Center is going to become a homebase for Microteatro Ambulante, the first bilingual microtheater company in Chicago, perhaps in the fall of 2019. Having a Spanish and English-speaking theatre company might help push for more relatable plays, but until then, I think Stage Center and the CMT department need to recruit actors more effectively and make their presence known on campus. We, as students, need to also show up and audition if we want to see ourselves being represented on stage. Stage Center is open to all NEIU students, faculty and staff, as well as the Chicago community. *Disclaimer: the reporter of this story is a Stage Center actress and student aide at the APCDIA.